Irish law professionals have raised concerns that victims of crime could have to go through the courts in order to access their rights under the EU Victims Directive. The Directive, which entered force yesterday, lays down binding rights for victims and clear obligations on EU member states to ensure these rights in practice. However, key Irish legislation to implement these rights has yet to be drafted. The general scheme of the Criminal Justice (Victims of Crime) Bill has been published, but the final bill is still being drafted by the Office of the Parliamentary Counsel and is unlikely to be passed and enforced until next year. Dr Conway said the Irish government took the position that the “necessary supports are actually in place” despite the lack of legislation, but it remained to be seen how “the variety of different institutions deal with the challenges that are posed by this”. 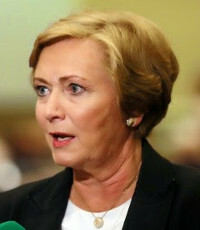 Justice Minister Frances Fitzgerald has also faced calls for the provisions of the final bill to be made stronger than indicated by the general scheme. 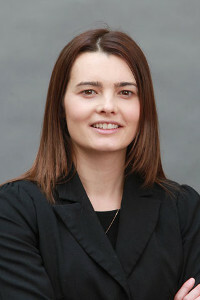 Barrister Maria McDonald, a founding member of the Victims’ Rights Alliance, told Irish Legal News: “We got an indication yesterday that the first draft of the Bill would be published in about two weeks’ time, and subsequent to that, we’re looking at probably the New Year, maybe February, for its passing into legislation. “Now, the scheme itself needs to be amended significantly and strengthened significantly if it’s going to comply with the Directive. Ms Fitzgerald yesterday said the EU Victims Directive “represents a change in the way that victims will be dealt with as they make their way through the criminal justice system” and is “key to empowering victims”. On Friday, she announced the establishment of a nationwide network of Garda Victim Service Offices with dedicated staff in each of the 28 Garda Divisions, which will provide additional assistance to victims.